The Royal Conservatory of Music: What Is It? 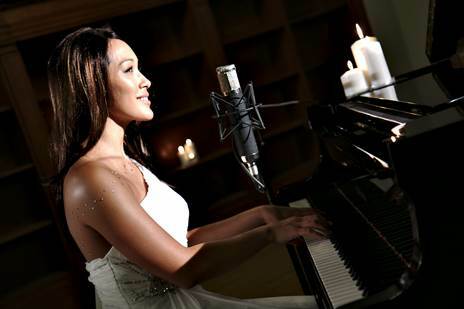 Melina Soochan offers private lessons in classical and jazz piano to students in the West Island and Downtown Montreal. Following the Royal Conservatory of Music Classical curriculum at the core with complementary instruction in Jazz and Pop, students get a comprehensive overview of piano-playing either for their own enjoyment and personal development, or to pursue official RCM music certification. Limited spots available. Contact Melina for your first FREE lesson, which includes an initial assessment and the chance to "meet-the-teacher" before signing up! *Flex Plan: Drop-in lessons are possible with the purchase of 6 lessons. See Flex Plan: Drop-In pricing below. All prospective students must participate in an initial assessment to determine their current level of piano competency, reading skills, and theory knowledge, and to discuss their objectives. Please note: Due to limited space, not all students are accepted. Curriculum: All lessons follow the Classical methodology, with a minimum of 25% of time dedicated to Jazz/Pop instruction. Will be scheduled one at a time. Time slot may change frequently. Will take second priority after weekly lessons. Students learn the basics of playing piano for enjoyment and personal development. Personalized coaching to prepare students for official RCM exams. For more information, visit www.rcmusic.com. All students are encouraged to participate in the end-of-year annual recital (held at the end of the Spring session). Examinations test competencies in performance of selected repertoire, studies, technique, ear training, sight-reading and playback. It is commonly recognized that music is directly correlated to high performance in academic subjects such as math and science. While stimulating the creative side of the brain, the discipline required to learn the language of music and to train the muscles and fingers for intricate coordination ensures a rigorous yet enjoyable development of neural pathways and motor skills. Many of the world's top renowned doctors, scientists, Nobel prize winners, politicians, CEOs and entrepreneurs started music at a young age. Piano lessons should be part of your child's overall education and personal development. While music is taught in many schools in Quebec, rarely is it taught at the high level seen in private instruction. Years later, many high achievers in piano go on to become top students in many different fields and get into the university of their choice. Don't miss out on the opportunity to give your child the best education possible! It is never too late to pick up a new skill like piano. Stimulation of the brain is required at all ages, and learning music is one of the best ways to work on memory and muscle coordination, while providing an enjoyable way to relax and release stress. 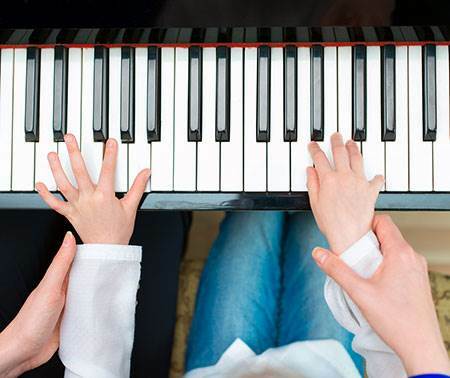 It is not true that it takes longer to learn piano as an adult compared to a child. The only difference is that, oftentimes, life gets busy and gets in the way of practicing. Motivated adults can learn basic piano skills and be able to read within just a few weeks of dedicated study. For all adults at all stages of life, starting piano as a beginner, or picking it up again after a long absence, requires the basic ingredients of success: time, patience, practice and dedication. Don't miss your chance to fulfill your dream of playing the piano! Dedicated. Patient. Organized. Committed. Encouraging. Passionate. Talented. 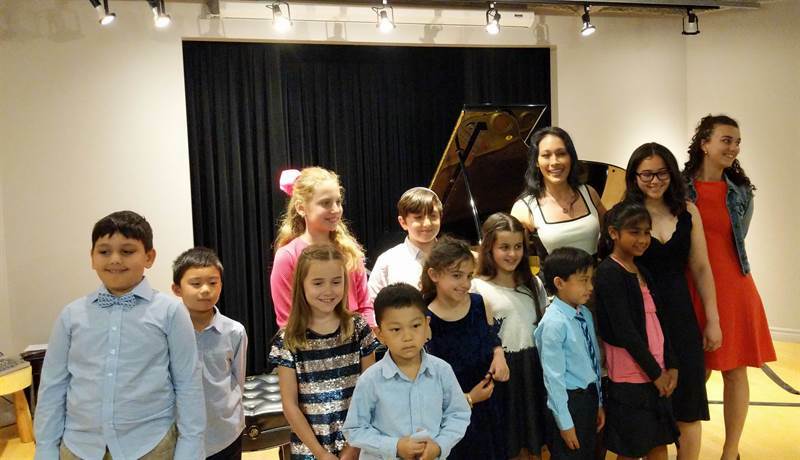 The students' recital took place on Sunday, May 27, 2018 at the Lambda School of Music and Fine Arts, Pierrefonds.